Umalas is a town in between Seminyak and Canggu. 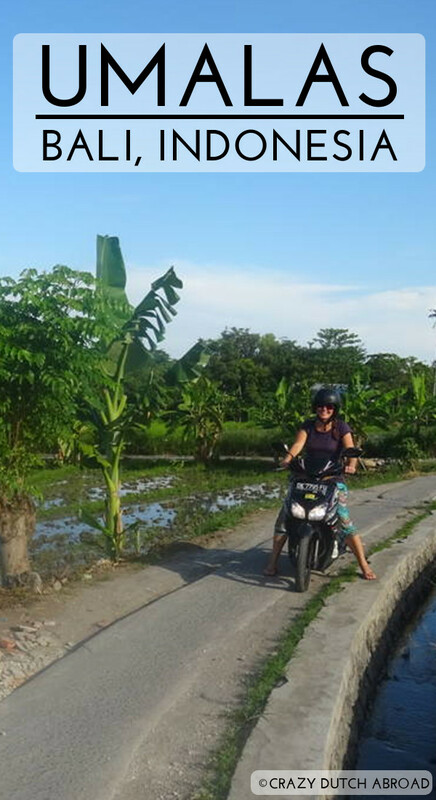 It is surrounded by rice terraces and the most impressive and fastest way to get somewhere is to take a motorbike right through the rice terraces over small uneven roads. The town does not have direct beach access but many fine restaurants, spas and hotels at all different budgets but most of it is a bit upscale since it is really close to Seminyak. Top 5 Restaurants in Umalas! Nook restaurant is a beautifully decorated garden restaurant watching over the rice terraces. There are many healthy dishes on the menu that are well presented as well as your favorite snacks. There is even a typical warung style select-from-the-metal-containers buffet. This place is great for breakfast and lunch as well, but it is not cheap. Have you ever heard of Mexican fusion sushi?! Visit Susheria immediately! The restaurant have a nice romantic ambiance with garden views over the rice terraces. The menu comes with a tablet of pictures, ideal to get an idea about the fushion of their food. You have two options, select from the prepared dishes on the long warung-style table or a la carte. The food is fresh with many vegetables and healthy ingredients although it is Indonesian style. Other than the fresh and healthy dishes, like quinoa salads for example, you can order delicious hamburgers and dark weat wraps as well. 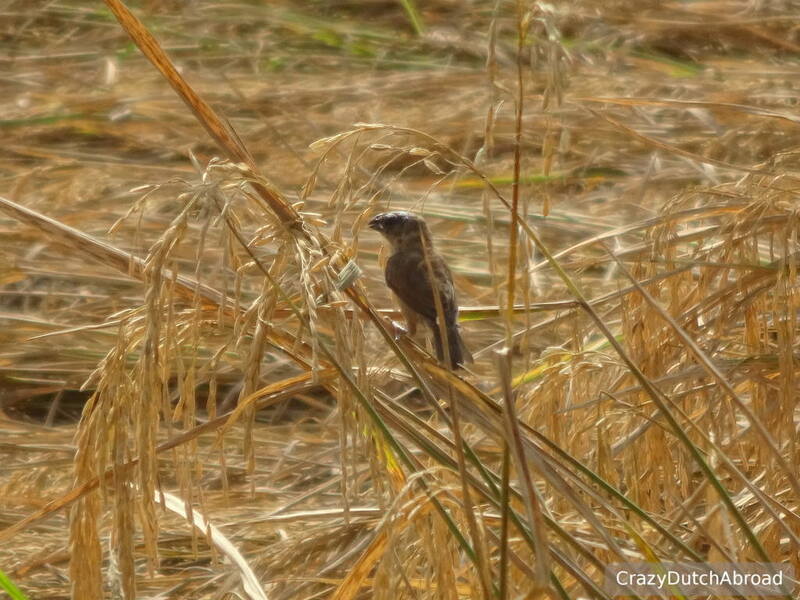 Probably because the food contains many fresh ingredients, it is not cheap. 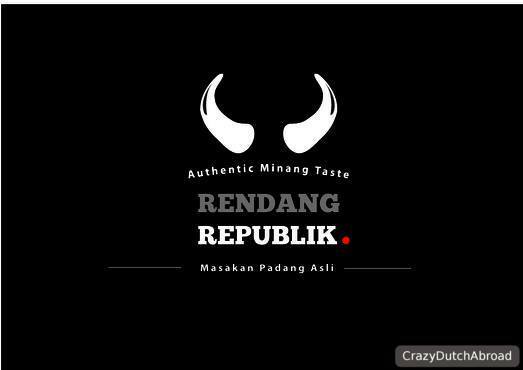 If you would like to taste rendang the way it is supposed to taste, go to Rendang Republik. Rendang should be cooked slowly, overnight even. You cannot just order it from the menu since the real rendang needs to stew for many hours. Since beef rendang is my favorite Indonesian dish I tried in many times in many different places and they all made it on order. Sometimes the 'sauce' has the right taste but if the beef is just cooked it is not as soft and tasty as it should be. My advise: The more local the restaurant, the more chance of good rendang. Find it in those 'dirty' looking bright lighted places along the road in metal containers or on a plate behind a curtain right in front of the warung. Rendang Republik has different kinds of rendang on sale, but make sure to order beforehand or come early because they sell out quickly. You can dine-in (bright lighted) or take-a-way, up to you. This place is good and cheap! I have to admit this was the first time I visited a Georgian restaurant so I have nothing to compare with, but I loved this new taste. Especially the appetizer where amazing! Since we wanted to stay in a spacious room with laptop workspace, air conditioning and a swimming pool close to the beach we stayed in Pandawa All Suite Hotel. Umalas was cheaper for our needs than Canggu with less foreigners. Having that said, it's about 10 minutes to get to either Canggu or Seminyak by motorbike. We stayed here for one month. In the same street there are many great warungs, 15.000 for 1 person authentic Indonesian food, cheap laundry service and massages for 75.000 as well. For lunch I often went to this warung, found across the street of Jl. Lestari No.69. For information about transportation and internet/WIFI click here! Other places to explore on Bali! Selamat datang / Welcome to Bali! The 10 must sees of Bali! Canggu, surf's up and enjoy the beach vibe! Sanur, a place to get comfortable and relax! Tulamben & Amed, quiet black lava beaches and SCUBA diving! Ubud, the cultural heart of Bali! Let me know if my travel information and tips are useful to you!